The Victory Backpack sets a new standard for basic backpacks. 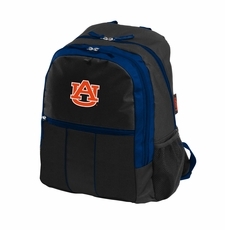 Made of rich black polyester fabric, it features team color accents and a screen printed team logo, as well as padded shoulder straps and an exterior water bottle pocket. Measuring 10" x 6" x 16", the interior has multiple pockets with room for a 13" laptop, textbooks, folders, and tablets.